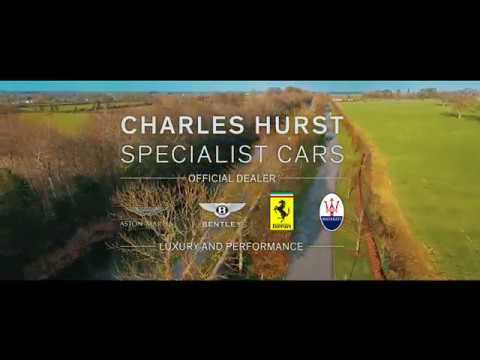 Our events page contains the latest news, recent and upcoming events together with new car launches at Charles Hurst Group. Watch the stunning video content we've created over time and, if you're interested in what's to come, please click Live Chat in the top right of your screen, and one of our operatives will assist you. Bentley Belfast hosted launch events of the New GT Continental at the Charles Hurst Belfast showroom on Wedensday 29th November and at the New Charles Hurst Premium showroom in Goatstown, Dublin, on Friday 1st December. With support from the team at Bentley Motors, explaining the stunning design concept and performance capabilities of the next generation GT, both events were a major success. A number of businesses were invited along to the launches to showcase their own luxury products to guests. Thank you to Blazin' Digital, Jane's Kitchen Catering, Shortcross Gin and Bang & Olufsen of Belfast who joined us at the Bentley Belfast Showroom and to Weir & Sons Jewellers, Bang & Olufsen of Dublin and The Caterers who joined us at Charles Hurst Premium Dublin. Charles Hurst Group had buckets and sponges at the ready to help raise funds for Children In Need with the Big Wash event on Friday 17th November, with all donations going to help disadvantaged young people across the Northern Ireland. Pudsey Bear and the full Charles Hurst Belfast team transformed the car retailer’s Boucher Road Complex for the Big Wash, utilising see six bays and 30 cleaners dedicated to cleaning up Belfast’s cars. The Group raised a total of £2,798 for this great cause. On 20th October 2017, Charles Hurst hosted their annual Golf Invitational, this year in aid of BBC Children in Need at the prestigious Galgorm Castle Golf Club. Four balls consisting of staff, customers and sponsors made their way around the beautiful yet challenging course, before enjoying an evening filled with fundraising, entertainment and a delicious 3 course meal in the stunning Ivory Pavilion. Charles Hurst Group was delighted to be named the official car partner of the Galgorm Resort & Spa Northern Ireland Golf Open 2017, presented by Modest! Golf, which took place on Thursday 10th- Sunday 13th August at Galgorm Castle Golf Club, Ballymena. The partnership involved provision of our Jaguar and Land Rover models as courtesy vehicles for players throughout the tournament. The New Range Rover Velar and Jaguar F-Pace were on display in the main exhibition pavilion with an official brand ambassador on hand to demonstrate the superb capabilities and features of both vehicles. The legendary hole-in-one competition took place on Saturday with over 78 players attempting to win the ultimate prize of the New Jaguar XE. Charles Hurst Group was thrilled to be the main sponsors of this year’s Ulster Grand Prix which took place from 7 th – 13th August. 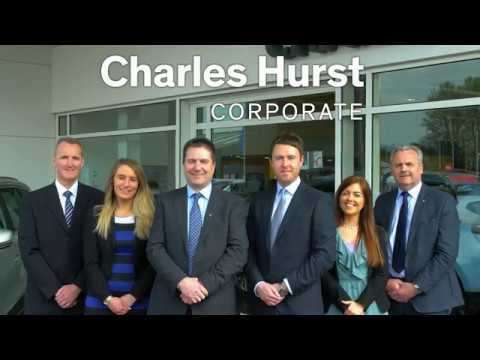 The Group became an event partner while Lexus Belfast & Charles Hurst Van Centre was the official vehicle suppliers and Charles Hurst Motorcycles the title sponsor of the Dundrod 150 national road races. It was a fantastic event with over 35,000 attending! Watch as our sponsorship of the Ulster Grand Prix really takes shape. 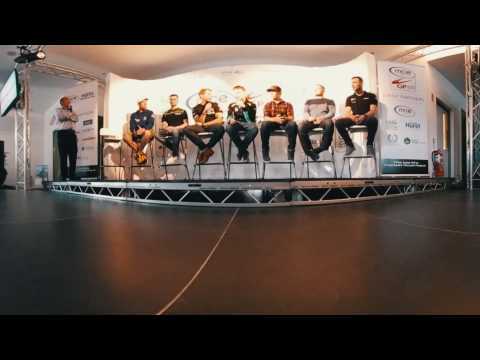 Our Meet The Riders night which coincided with the event's launch, saw 200 customers ans guests listen to some of the top riders in the world. Extended highlights below. If you would like to attend an upcoming Ulster Grand Prix event, please click Live Chat in the top right of your screen. 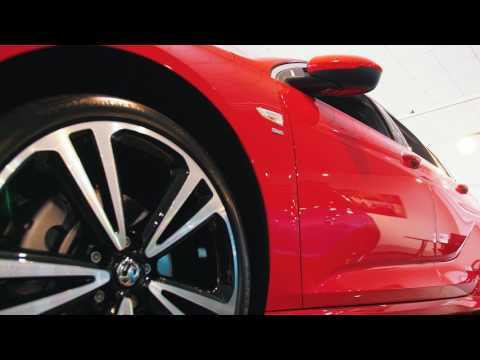 Watch and Experience Amazing as Lexus' new luxury coupe journeyed around Belfast's streets. Land Rover's new Avant-Garde SUV made its Northern Ireland debut at Charles Hurst Land Rover Belfast. Our launch event was in association with Shortcross Gin and Posh Nosh. This is not a car. This is new Insignia. Watch as Sean McGuigan takes you through the hotly-anticipated new version of Vauxhall's flagship saloon vehicle. Maserati's first SUV is introduced to Northern Ireland at Charles Hurst Maserati Belfast. 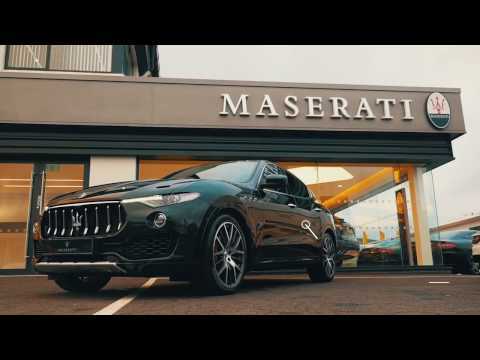 Richard McMillan, Sales Executive at Maserati Belfast, takes you through the finer detail of Italian luxury and refinement. 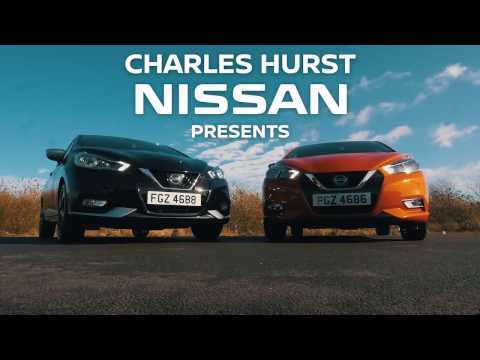 Available now at Charles Hurst Nissan Belfast, Newtownards and Newtownabbey, this is an entirely new look for one of the world's most popular and reliable small city cars. Charles Hurst Group is delighted to introduce the new Motorcycle Village to existing and new customers. 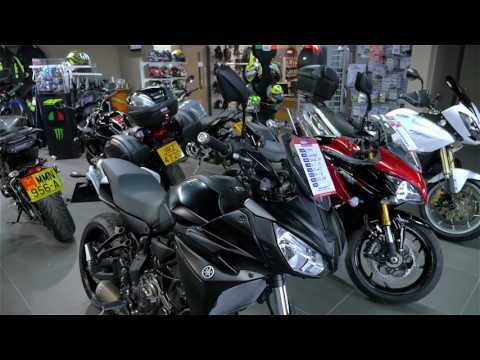 Bringing choice, value and service in one consolidated area, we offer our new Honda Motorcycle business, a refreshed look for our Yamaha representation ​and the stunning new BMW Motorrad retail unit; all at Charles Hurst Group, 62 Boucher Road, Belfast. 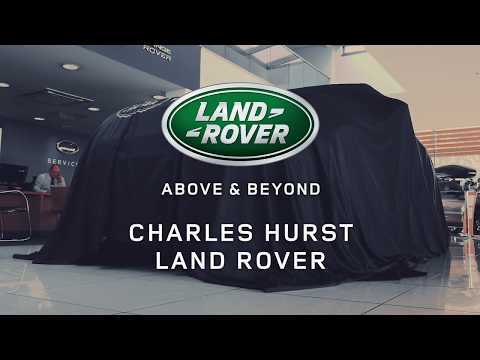 Available at Charles Hurst Land Rover Belfast, experience the fifth generation of the iconic Land Rover Discovery. 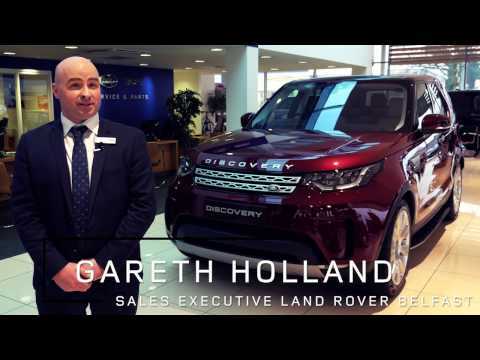 Sales Executive, Gareth Holland, demonstrates function, form and exemplary levels of finesse in Land Rover's most refined SUV ever. Toyota's new High Rider Crossover is sure to take the market by storm. 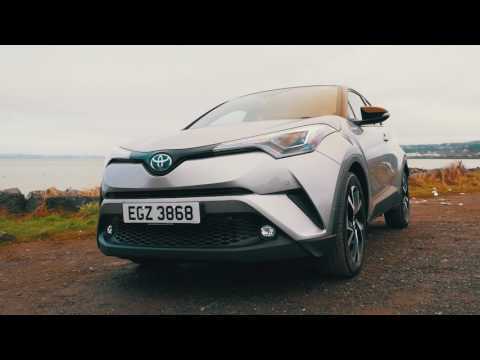 Watch as Conor Devlin, Sales Executive at Charles Hurst Toyota, introduces a very unique and landmark addition to the Toyota range. Now available at Charles Hurst Toyota in Belfast, Newtownabbey and Dundonald.